Can using a CGM help people with type 2 diabetes who don’t use insulin pumps? Tomas Walker is Dexcom’s Director of Clinical Projects. He shares the results of their new DIaMonD study (Multiple Daily Injections and Continuous Glucose Monitoring in Diabetes). 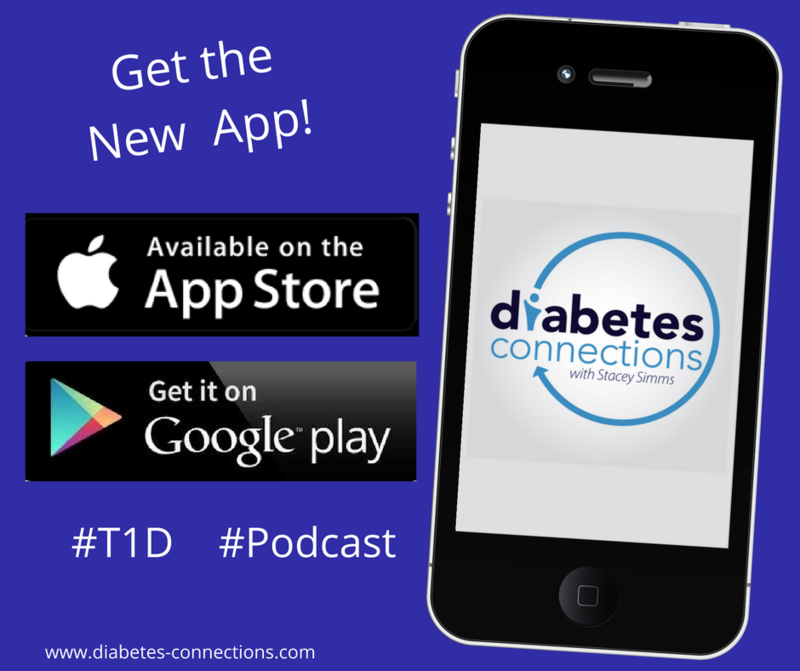 Of course we also cover issues relevant to the type 1 community; Stacey asks about CGM use and Medicare coverage, possible changes to the Dexcom adhesive, and closed loop systems. In our Community Connection this week, blogger Mindy Bartleson says sharing only the positive side of diabetes had a price. After going through some serious burnout, she wants to help others by sharing an honest look at growing up with chronic condition and mental illness. Mindy has a new book and is crowdfunding to publish (click to learn more and help). Mindy also talks about the untethered or POLI method (pumper on long acting insulin) where she uses both a long-acting injection and her insulin pump. New segment this week, called Shoptalk! Every diabetes convention has a big vendor floor where exhibitors show off the latest and greatest and educate consumers about their products or business. Stacey interviewed all 50 exhibitors(!) from the Friends for Life Conference and we’ll be sharing those stories in the next few months. This week, learn about The Barton Center from associate director Lindsey Charest.